Melvin Hayes is a retired IT professional that worked for the University of Georgia for 30 years. While Mr. Hayes is retired he still maintains a busy schedule focusing on giving back to the Athens community through various youth outreach programs. Mr. Hayes is one of the founders of the Stonehenge Youth Association which offers underprivileged youth an opportunity to play organized sports and spend time with positive role models. Mr. Hayes is a sports fanatic and coaches one of the four Stonehenge football teams. He also hosts a radio show about Athens area sports. This past week I was able to spend some time with Mr. Hayes and ask him about the work that he has been doing within the Athens community. James: Tell us a little bit about the Stonehenge Youth Association and how it got started? Mr. Hayes: Well, the Stonehenge Youth Association was founded in 1994 by myself and two other individuals. Our primary goal was to revitalize the community through the youth by teaching these young boys and girls how to be community leaders. In 1994 over 50% of the residents were renters and vandalism was running rampant within the community. We really wanted to instill a sense of pride in the community and we felt that youth outreach would be one of the best ways to reach that goal. 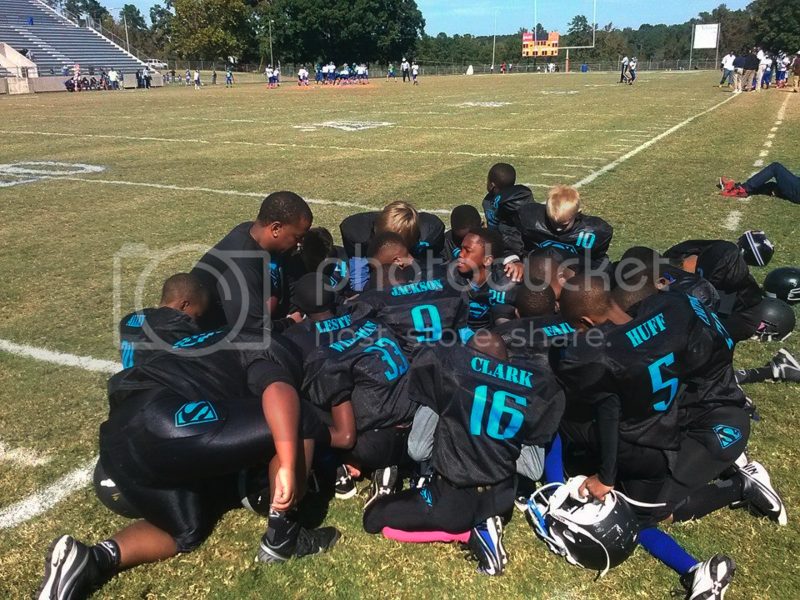 Our Project READY, which stands for Reaching Academics Daily, provide academic programs such as CRCT and SAT tutoring and we also have organized football, basketball, and softball teams. We wish to help create student-athletes, the emphasis being on student. James: What were some of the initial goals that you wished to accomplish? Mr. Hayes: Well the primary goal was to give the youth a place to gather and participate in positive activities in a safe environment and we had three specific objectives to help reach that goal. The first objective was the establishment of a community center, which would offer summer camp programs and other community activities. The second objective was making our way onto the Athens Transit System line so that parents and their children would be able to affordably travel to and from the facilities. And the final objective was to establish a playing field where we could host some of the games and practices. James: Have you made any partnerships within the community with other organizations? Mr. Hayes: We have partnered with organizations like Habitat for Humanity, which have helped provide affordable housing to the community. Additionally individuals such as Sharon Smith, former director of Athens Regional Attention Home have helped us in designing our community center. Local sporting goods stores have also assisted us with acquiring a lot of the equipment needed for our youth to practice and play such as helmets, pads, baseball bats, and so on. We’ve also been working on a partnership with Athens Tutorial Program so that we can further monitor our youth’s academic progress. James: What have been some of the biggest challenges you’ve met in your time at Stonehenge? Mr. Hayes: Having adequate facilities to assemble our youth has probably been the biggest challenge. Finances have been another challenge but we have received a number of very kind donations. The main objective is to serve the youth and helping them grow into responsible young men and women within their community. James: Talk about some of the first hand successes you’ve seen at Stonehenge. Mr. Hayes: We’ve had a number of successes in both academics and athletics. One of our youth members was only eight years old when we first founded SYA, she now works for Southwest Airlines out of Houston. Another former member of SYA now works for JP Morgan. On the athletic side, there are currently nine players currently playing college football right now that are former Stonehenge Panthers. Our players have went on to the University of South Florida, Mars Hill, Valdosta State, Savannah State and a host of others. James: What does the future hold for the Stonehenge Youth Association? Mr. Hayes: We hope to keep on doing what we’re doing and that is providing a responsible constructive environment for the youth of our community and help them develop and grow into community leaders while giving them the tools they need such as determination and self-discipline to ready them for their quest into the job market. I take a great deal of pride in what I do and I wouldn’t trade in this job for anything else in the world. James: Mr. Hayes it has truly been a pleasure and I thank you so much for your time today and on behalf of Spencer Frye, I would like to thank you for your sustained commitment to service the youth within our community. Best of luck to you and your team in the playoffs! Mr. Hayes: Thank you, James. Go Panthers! 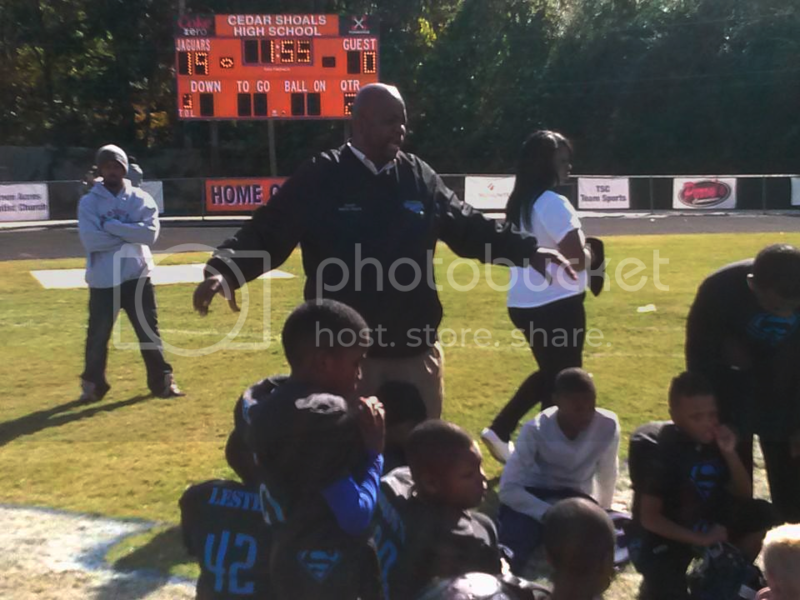 Mr. Hayes and his Stonehenge Panthers will be playing in the Northeast Georgia Youth Football Conference Playoffs this Saturday at Cedar Shoals High School, 1300 Cedar Shoals Dr. Athens, GA 30605. If you want to learn more about the Stonehenge Youth Association please visit their website.